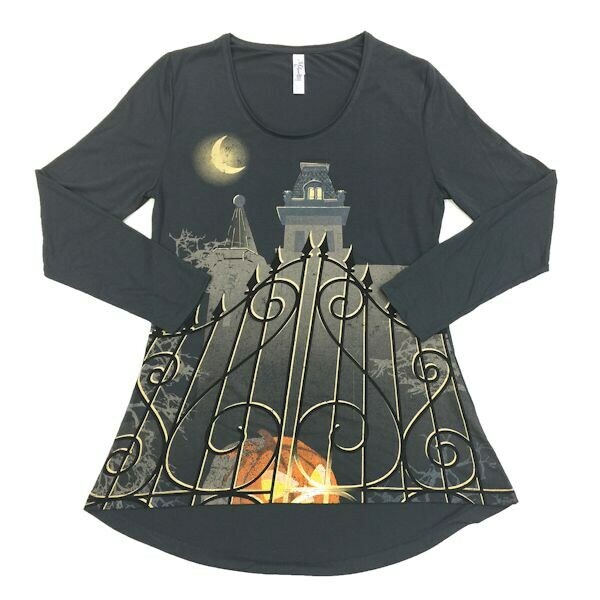 Spooky and kooky, this stylish top gets you in the Halloween spirit from the moment you pull it on. Soft and so versatile, this swing-cut scoop neck top has ¾ - length sleeves. Machine wash. 65% polyester/35% rayon. Imported. S-XXL.